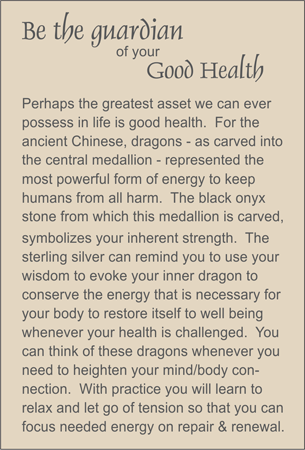 MEDALLION: Black agate hand carved medallion showing double dragons with open work. COMMENTS: For that special man in your life who needs to take better care of his health. See other styles that feature dragons by scrolling down.